More than five stars to this exellent anti aging moisturizer. It makes the face look like a canvas, smoothly absorbs the oil and leaves the face soft and shine free even 5 hours afters. It layers amazing even with a lotion and a serum underneath of it. So difficult to find a non oily anti aging treatment. Thanks Paula. Customer Care: Thank you for your feedback. We are sorry to hear you are concerned about this product, Paula’s Choice will not sell any products close to the expiry/sell before date and are regularly tested throughout their shelf life to ensure that our customers receive products with the best possible quality. 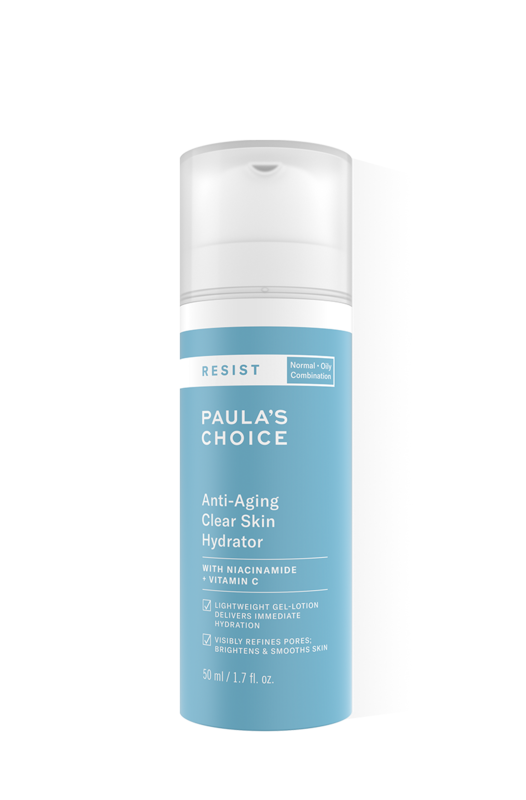 Unopened Paula's Choice products have a shelf life of up to 5 years. If a product has an expiry date of less than 30 months, an expiry date must be printed on the product, for example, our sunscreens. What you smell is the scent of one or more of the ingredients (raw materials) used for the production, this can vary from one batch to another. Also slight colour variations can occur. Should you have any doubts about the quality or effectiveness of a product, feel free to contact our customer service team. Joana - Great moisturizing for combination skin! I love this product!! It used to have very good reviews but I guess they disappeared when the website changed. Anyway I decided to leave my review because I really think it deserves better than 3.5 stars!! I love the texture of this cream it's perfect for the dry areas and it doesn't feel heavy on the oily areas. I never breakout using this and I really feel it's a great cream if you are in that age where you start to be concerned about wrinkles. I don't think you should let the smell scare you because it fades away when you put it. Anyway I love that Paula's choice doesn't put artificial smells that don't bring any benefit! My skin and I are very happy with the Hydrator! For summer, for combination skin as mine- perfect! Re-order again. This is too drying by itself. In order to use it you will need to mix it with a serum. By itself it’s expensive but if you have to use it with a serum it becomes so expensive not worth a re-order. Java - The smell scares me away. Customer Care: Thank you for your review. We are sorry to hear of your experience with this product. All of our products are 100% fragrance free. What you smell is the scent of one or more of the ingredients (raw materials) used for the production of this moisturizer. This smell can vary from batch to batch and can be interpreted differently from one customer to the next based on their sensitivity level.